Irish and Burgess quickly recovered from an eighth place in the only race that was completed on the opening day, to take back-to back wins in the first two races on the Sunday. Early front-runners Tom Ahlheid	and Tom Stratton‑Brown kept the overall lead until the two final races, where first Gabriella Clifton and Daisy Weston overtook them, and then Irish and Burgess secured overall victory with a final race win. 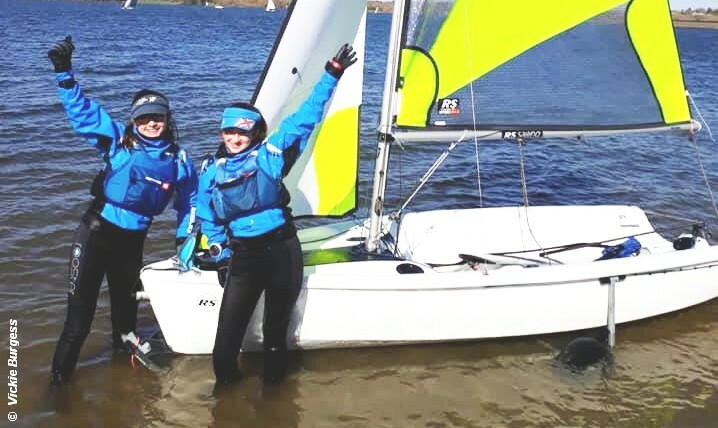 Irish and Burgess finished three points clear of Clifton and Weston from Dabchicks SC, with Ahlheid and Stratton‑Brown of Frensham Pond SC completing the podium places. A fifty-three boat fleet at Draycote Water SC was evidence of the popularity of the event at this early point in the season.